Piano-Rag Music was composed just as the European craze for American popular music was reaching a fever peak, with the arrival of a spate of American jazz combos in Europe around 1920. Yet Stravinsky's knowledge of the jazz idiom until this point was mostly limited to printed scores brought to him from the United States by his associate, Ansermet. This three-minute solo piano work, written for Artur Rubinstein, aims at a cubist impression rather than at a direct imitation of the style. 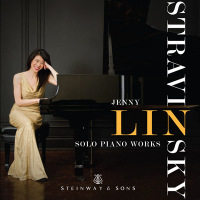 Like the Ragtime for Eleven Instruments (1919) and L'histoire du soldat, (1918) Piano-Rag Music neatly reconciles the ostinati, shifting accents, and bitonal passages of Stravinsky's Russian manner with the repetitive patterns, syncopations and colorful harmonies of the jazz idiom. Indeed, the piece is remarkable for its bitonal passages (with, for example, the left hand in C and the right in F sharp major), chord clusters, a three-note basso ostinato in the middle sections, and a percussive piano style. Moreover, Stravinsky achieves an improvisatory feeling by dispensing with meters entirely during half of the piece, and employing only irregular ones in the remainder. Both light-hearted and austere, the work reveals the influence of Stravinsky's contemporary Erik Satie.